*the important role of teachers in enhancing classroom social experiences for students with LD. Summarizing research findings and their implications in the various areas in the field, this book will be an excellent text for a special topics course in graduate programs in learning disabilities, special education, psychology, and social work. 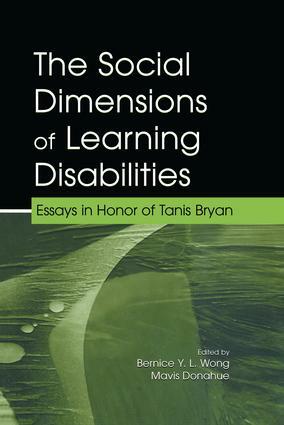 In addition, it will be a highly important resource for university/college teachers, researchers, graduate and honors students, and professionals in learning disabilities, social psychology, and social work.